The verb ghosted is of course the title of this romantically suspenseful, contemporary novel – and the plot. 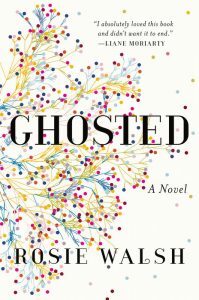 British author Rosie Walsh’s terrific literary sleight-of-hand debut uses techniques that guide our assumptions, but things are not always what they seem. Sarah is the one ghosted. Eddie did the ghosting. The reader’s head is wrapped around two burning questions: Why did he disappear after they’d just spent seven deliriously happy days falling madly in love? Sarah is convinced something awful happened to him. Her girlfriends presume this is just the way men behave, jilted themselves. Best friend Tommy’s not so sure. Sarah, soon-to-be divorced, and single Eddie are both approaching forty, so when they serendipitously meet along a peaceful country road in England’s picturesque Cotswolds, spend seven love-struck days together and come away each believing they’d met the one, we believe them. Some evidence: on the eighth day, Eddie seems genuinely bummed out that he has to leave Sarah for a planned week of surfing in Spain with a friend. His desire to cancel the trip not to lose a minute with Sarah before she returns to LA, where she now lives, feels heartfelt too. Sarah insists he go, agreeing to meet back at the airport upon his return. Eddie professes, also seemingly truthful, that “this has been the best week of my life,” echoing Sarah’s feelings. Too good to be true? Because he never shows up. Initial thought: a surfing accident? It’s natural Sarah might expect Eddie to have called before he boarded the plane. And it wasn’t unreasonable for her to be glued to her phone constantly checking for an email, a text, a Facebook message while he was gone. We relate to her growing worry not hearing a word from him, as if he’d been a ghost. Surreal and heartbreaking for someone who already had her heart broken years ago. We’ve been primed to feel the emotional toll of being ghosted on page one. An epilogue of sorts delivered in a letter, one of many that pop up throughout. Some like this leading one are addressed to Dear You, signed by Me: “It’s exactly nineteen years since that luminous morning when we smiled and said goodbye,” it begins, ending with “I will never stop looking for you.” Presumably never sent. A journal entry to cope with the “pain of love” and the “loss of self it precipitates”? The sender’s sorrowful voice must be Sarah’s, who proceeds to fill us in on those seven love-infused days, starting with Day Seven: When We Both Knew. Alternating chapters introduce a woman flabbergasted by her weakness having found the strength to reconstruct her shattered life. How could “a woman who’d traveled the world, survived a tragedy, run a charity” let herself fall apart again? 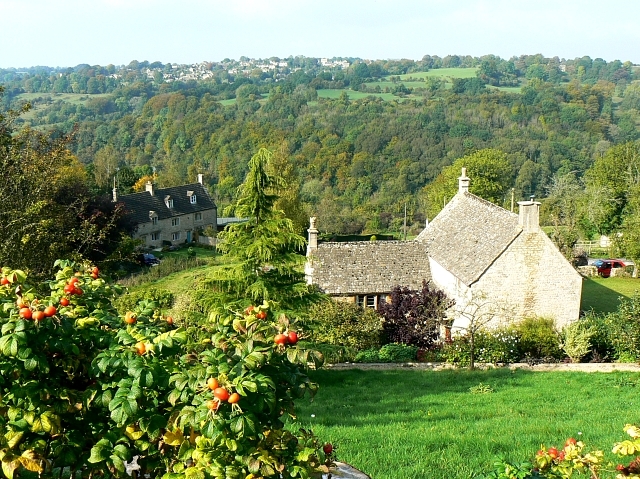 We intuit from the get-go (page five) that the tragedy cited involved her younger “sunbeam of a sister” Hannah, related to a fuzzy reference to an accident during Sarah’s teen years when they grew up in England’s countryside in one of those picture-postcard Cotswold villages, Frampton Mansell. Sarah’s parents still live in the village (her grandfather a few hours away), so every June she comes back to visit them. She breathes in its “smell of warm grass,” wildflowers, peacefulness, which Walsh beautifully breathes into her prose. But everywhere she goes she also breathes in the sweetness and innocence of Hannah’s memories. That’s why after the mysterious accident, Sarah fled to LA. More mysteries. What happened to Hannah whose memories haunt Sarah? It’s on a recent June visit, around the time of the Brexit referendum (2016), that Sarah meets Eddie. The charity portion of Sarah’s bio is significant as it relates to another type of all-powerful love and loss: motherhood. Co-founded with her husband of seventeen years, Clown Doctors use specially trained performers to comfort sick, fearful hospitalized children. Sarah couldn’t, wouldn’t bring a child into their marriage (the cause of the rift) believing she doesn’t deserve to. Did you know there’s a real Dr. Patch Adams? (We miss you Robin Williams.) Sarah’s charity is inspired by the one founded twenty-some years ago in New York, spreading to the UK and around the globe. Much of their days are tucked away in Eddie’s wooden barn (a carpenter, he loves wood). Days so full of “the lightness, the ease, the laughter” Sarah doesn’t dare mess up by telling him why she left a nature’s paradise. A terrible omission. To be fair, there’s something Eddie hasn’t told her either. His truth blindsided me, not because Sarah is an unreliable narrator, rather, she was blindsided too. When you don’t see this bombshell coming, you get so engrossed like I did, missing my morning coffee ritual, reading straight through to noon! There’s more than one bombshell, but the first one makes you realize you’d assumed too much. At that tipping point, about half-way through, you cannot put this book down, in step with frenzied Sarah. Since Sarah and Eddie have hidden some crucial things, I can’t share more about their storylines without spoiling the surprises. What I can say is more about Sarah’s amazing friendships. Without them, who knows how she would have fared. Tommy from childhood was a victim of bullying in school. Sarah consoled and looked out for him whenever he’d “cry, again and again and again,” similar to how she fiercely protected her sister and watched over her sister’s friend Alex, often hanging out with them. It’s Tommy’s house Sarah rushes to in that distressing week waiting for Eddie; Jo, close friends with both, is there too. Jo’s precocious son provides the devoted-to-motherhood theme, which also plays out when Sarah returns to LA and bares her soul with caring friend and assistant Jenni very depressed at learning another fertility treatment failed. Yet she “postponed her own grief so she could look after mine.” Special friendships, a special kind of love. Walsh, a former documentary producer who grew up in the Cotswolds, has produced a stirring novel you can picture as a film you’d want to see. You read the blurbs, thought you knew what it was going to be about. You’re partly right until it’s nothing like you’d imagined.